Did you know we all have different ways in which we feel loved? When you're married it's easy to go on auto-pilot and put intentionality on the back burner. Here are three steps to loving your spouse the way they feel most valued. Tune in to Chris Brown's Life Money Hope Podcast to hear more! Love: It’s the cornerstone of marriage. It all starts with love, and love is what sustains the relationship during rough patches, when it feels like nothing else will. But your idea of “love” might look a lot different from your spouse’s. Love isn’t one-size-fits-all! Sure, the Bible talks about the qualities of love (1 Corinthians 13:4–8). And it calls husbands to love their wives as Christ loved the church (Ephesians 5:25). Still, each of us feels love in different ways. What physical touch does for one person, quality time does for another. And gifts might make you feel loved as a newlywed. But 10 years and three kids later, your spouse changing a dirty diaper might be the most loving thing you could imagine. Loving your spouse the way they feel most loved—and them doing the same for you—can play a major role in a successful marriage. Are you and your spouse being intentional about loving each other well? Here are three steps you can take to start today! 1. 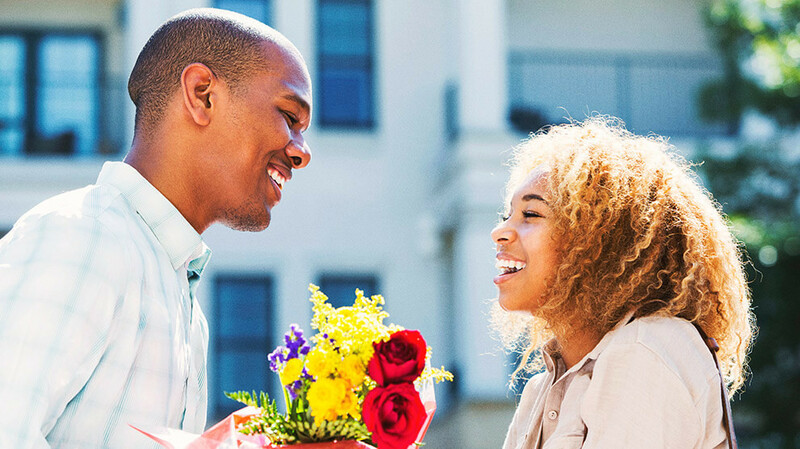 Learn your spouse’s love languages, and make sure they know yours. The five love languages are a great place to start. They’re drawn from the popular books written by Dr. Gary Chapman and fall into five categories: quality time, words of affirmation, acts of service, physical touch and receiving gifts. You can take an easy test online to learn each other’s top one or two love languages. Just remember that they’re not necessarily the same for both of you. Then communicate with each other exactly what your love language means to you. Set your expectations from the beginning so that each of you knows exactly what the other needs. 2. Set goals to love your spouse better. Okay. You have the foundation. Now it’s time to be intentional about making a plan to actually put that knowledge to good use! Because let’s be honest—without a plan, it’s easy to fall back into your old ways. Try this: Write down exactly how you’ll use your spouse’s primary love language to show them you love them. You want your plan to be specific, measurable and time-sensitive. Let’s say your spouse feels loved by spending lots of quality time with you. Your goal one month might look like this: You’ll plan one date night each week that lasts around two hours. It will be uninterrupted, distraction-free time to spend with your spouse. It doesn’t have to be expensive. One week you’ll pop some popcorn and play your favorite board game together. The next week you’ll go out for coffee and dessert. Another week you’ll take an evening hike along a nearby trail to watch the sunset. Finally, you’ll pack a picnic and listen to a band performing on the outdoor stage at the park. See? It’s doable—and not at all overwhelming!—when you just write it down. 3. Put your plan into action. It’s hard to love in a way that’s different from how you feel loved! And it can be hard to make intentional, non-spontaneous giving feel genuine and sincere. It might help if you look at your marriage as a form of stewardship. God has given you your spouse to love. They’re not yours—they’re His. So treat them like you would anything in your life that you’re managing for God’s glory! If every expression of love comes from that motivation, nothing you do will feel insincere or manipulative. As you’re working toward loving your spouse well, remember one more benefit of all of this: If you have kids, your actions are modeling godly marriage for them. You’re setting them up to choose their own spouse well someday because they have a great model in their parents. That’s creating a generational legacy of strong, godly marriage that will long outlast yours. Looking for encouragement? Need advice? Sign up for the Stewardship.com newsletter today!